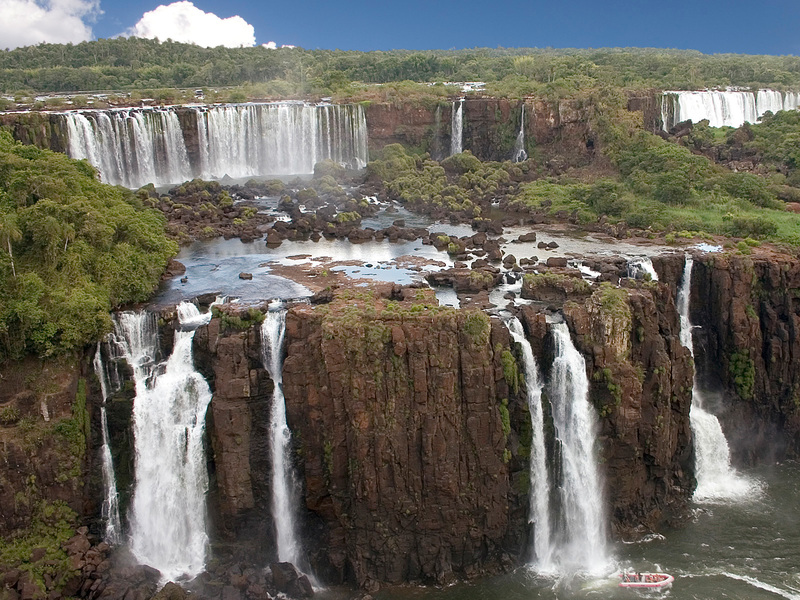 Located on the border between the state of Paraná in Brazil and the province of Misiones in Argentina, you will find the stunning Iguazu Falls dividing the upper and lower parts of the Iguazu River. 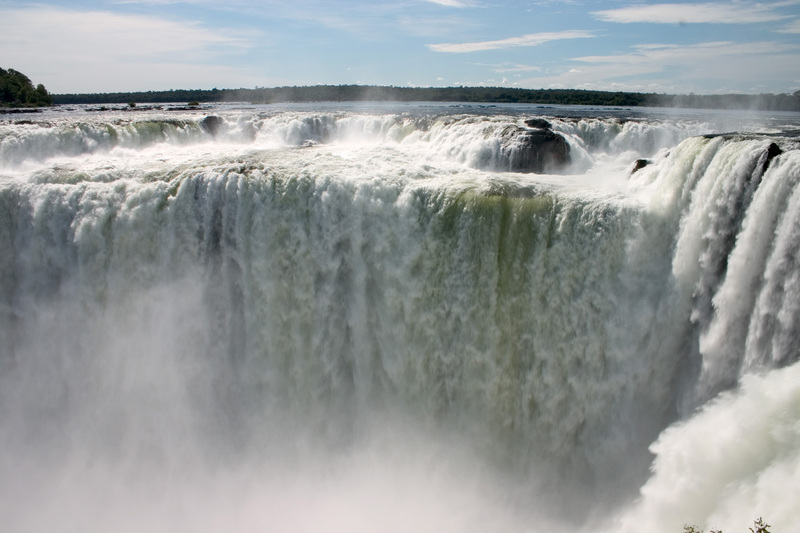 Iguazu Falls is made up of 275 individual falls, the tallest of which is 82 meters (269 ft) high. The most popular single waterfall among tourists is the impressive 82 meters (269 ft) tall, 700 meters (2,297 ft) long Devil’s Throat (or Gargantua del Diablo). 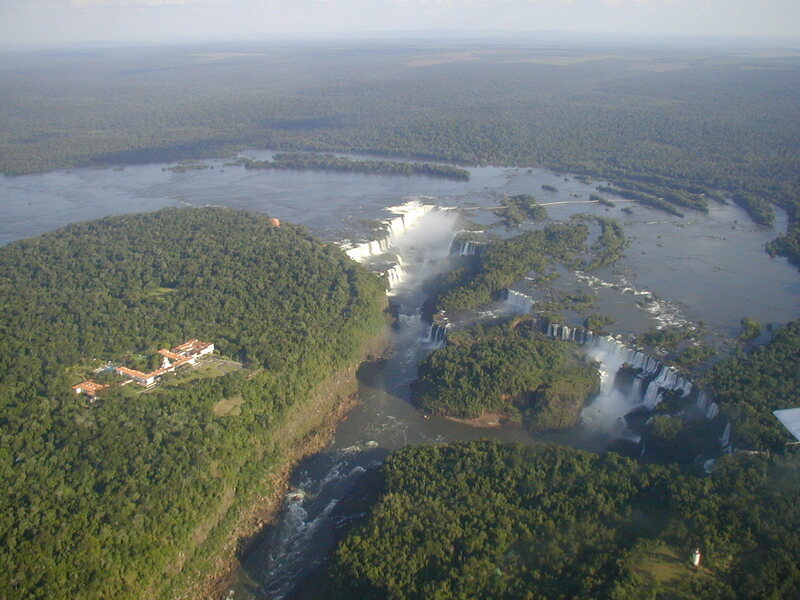 The falls can be accessed from the Brazilian town of Foz do Iguaçu or the Argentine town of Puerto Iguazú. There are many trails and walkways around the falls, and the more adventurous types can enjoy rock climbing and water sports. HOW ON EARTH DID YOU COME TO THAT CONCLUSSION?!!! Seriously though, been to Foz du Iguacu many years ago. One of the most beautiful and amazing places on earth! This is awesome i want to go there. It’s very beautiful spots on earth. How i wish i could go in that certain places someday! Argentina it’s really a wonderful place and looking to your blog the places you have share are amazing and i must visit those places really gorgeous and heaven on the earth.